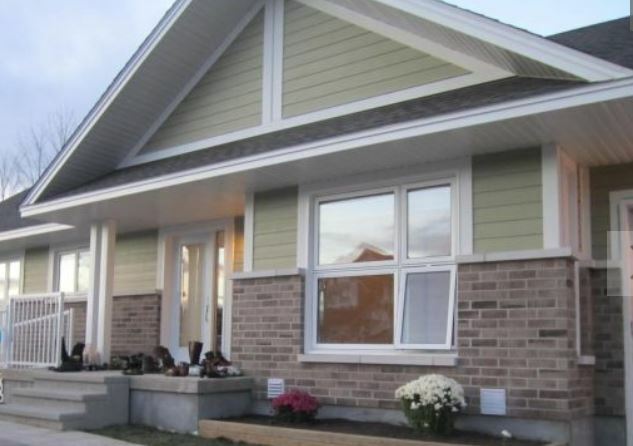 In 2011, the Appraisal Institute of Canada made Habitat for Humanity our charity of choice. Through our Value of Home program, AIC’s long-term goal is to sponsor a Habitat for Humanity build each year while also supporting team builds across the country. Since 2011, AIC has contributed over $35,000 to Habitat Humanity, and our members have participated in countless team builds. Habitat for Humanity Canada (HFHC) is a non-profit organization working toward a world in which everyone has a safe and decent place to live. The organization mobilizes volunteers and partners to build simple, decent housing in order to provide low-income families with access to affordable homeownership. HFHC also raises awareness of the need for affordable housing and promotes homeownership as a means to breaking the cycle of poverty. For more information about Habitat for Humanity Canada or to make a donation, visit their website. 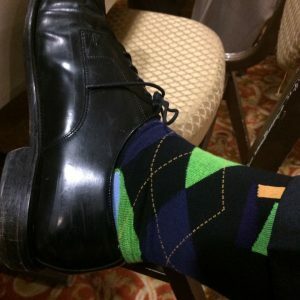 At the 2017 International Valuation Conference in Ottawa, delegates, speakers and sponsors from around the world helped raise $5058 for Habitat for Humanity through AIC sock sales, silent auction and speaker gifts. Many thanks to all our generous donors for your contributions and assistance in supporting this worthwhile cause! We couldn’t have done it without you! 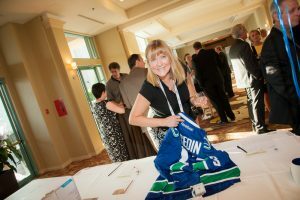 At the June 2015 Annual AIC Conference in Kelowna delegates, sponsors and speakers from across Canada united their efforts and talents while they enjoyed fundraisers resulting in a $5300 donation for Habitat for Humanity. Many thanks to all our generous donors for your contributions and assistance in supporting this worthwhile cause! We couldn’t have done it without you! The Appraisal Institute of Canada – Nova Scotia (AIC-NS) and the Nova Scotia Real Estate Appraisal Association (NSREAA) donated $2000 on behalf of their membership to Habitat for Humanity – Nova Scotia. AIC-National matched this donation, providing a total of $4,000 to a cause that helps disadvantaged families to afford their own home. AIC-NS has been very committed to the AIC national charity of choice – Habitat for Humanity. 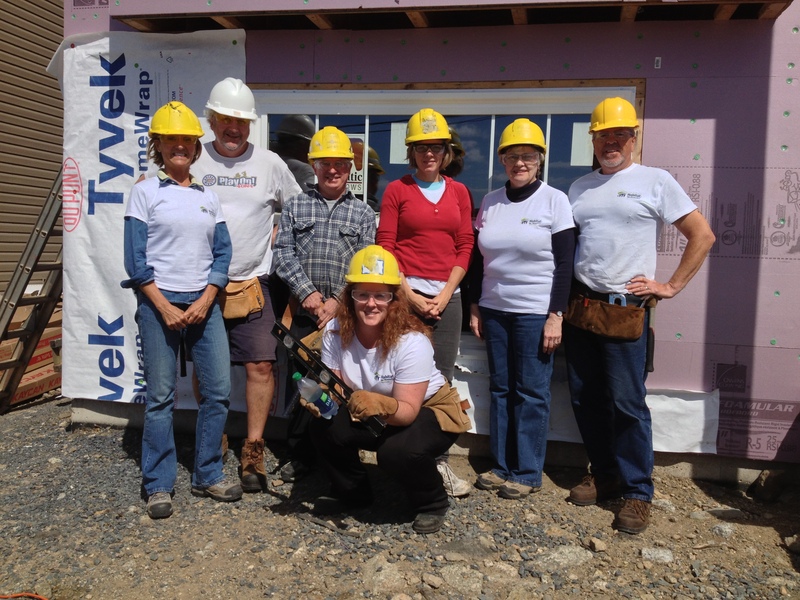 They participated in their third build on October 17, 2014, where a group of members volunteered their time to drywall a home in the East Preston area. Volunteers included Beverley Girvan, AACI, P.App, Rick Colbourne, AACI, P.App, Lisa Glennie, CRA and Davida Mackay, Executive Director. AIC President, Scott Wilson, also joined the team, driving in from Prince Edward Island to participate in this worthwhile initiative. This is the third build for Nova Scotia appraisers, with the previous two having being held in the Spryfield area of Halifax in 2013 and 2012. Congratulations to Nova Scotia for their ongoing commitment to Habitat for Humanity demonstrated by donating the one of the highest amounts to Habitat for Humanity and hosting the most builds among all AIC affiliates. AIC-NS hopes that their leadership will encourage other members and affiliates to get involved with Habitat for Humanity! 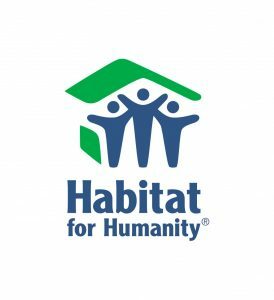 “Our members believe that giving back to society is an important part of life; and that Habitat For Humanity is a very worthwhile way to accomplish this goal. We certainly encourage other provinces to meet or exceed our commitment,” states Phil Smith, President of NSREAA and AIC affiliate in Nova Scotia. 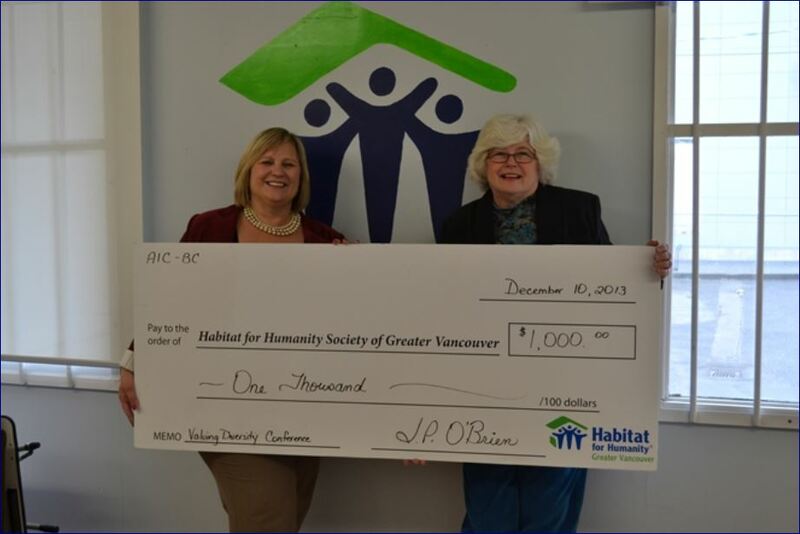 AIC-BC Executive Director, Janice O’Brien presents a cheque to Habitat for Humanity – AIC’s charity of choice. More information. 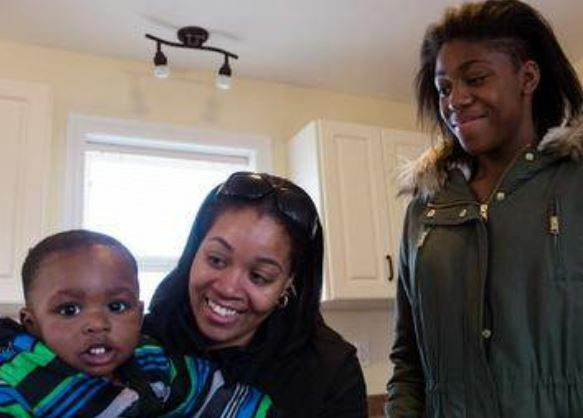 An Ottawa family of 6 was thrilled to move into the Habitat for Humanity home that AIC volunteers helped build in the fall of 2013! Read the story here. AIC has contributed over $35,000 to Habitat for Humanity! Members who would like to get involved can contact AIC headquarters. AIC Provincial Associations and Local Chapters are likewise active in their communities.